Cheesemonger Sean Kelly gives us the scoop (pun intended) on this gooey Earth Day pick. We really never hear about cheese when talking about Earth Day. It sounds like a bit of a stretch to discuss cheese on a day that’s supposed to be focused on environmental conservation, awareness and activism. But why not? Really, it makes perfect sense for cheese and cheese farming to enter into the topics of discussion for Earth Day. When done right and responsibly, cheese can represent a certain closeness to our food sources. Cheese comes from milk, milk comes from cows, cows eat plants; how many things does the average American consume on a daily basis that can have their genealogy traced so clearly and with so few steps? 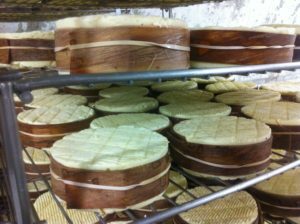 Indeed, it seems as if the best cheese almost always comes from the smallest, most traditional and most natural sources. A perfect (and delicious) example of just how well cheese can fit in on Earth Day is Jasper Hill Farms’ compact and beautiful creation, Harbison. Harbison, in production, flavor, and concept, is the definition of terroir and brings a true taste of place to anyone fortunate enough to dive into its creamy and buttery paste. 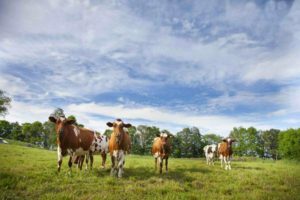 The cheese, named for Greensboro resident Anne Harbison, is produced at Jasper Hill Farms from their small herd of Ayrshire cattle. The farm itself is a picture of sustainability, maintaining a small herd and closely monitoring the health and well -being of the animals, as well as finishing up a project that will recycle manure solids from the cows and wastewater and whey from the cheesemaking process to help power their facilities. Once this project is completed, the farm will produce almost zero waste. Harbison sets itself apart from its other bloomy-rinded cousins not just by way of its noble upbringing, but also by its outfit choice. The small wheels each come wrapped in a small girdle of spruce bark obtained from trees on the farm, which are naturally composted to enrich the soil after the bark has been harvested. 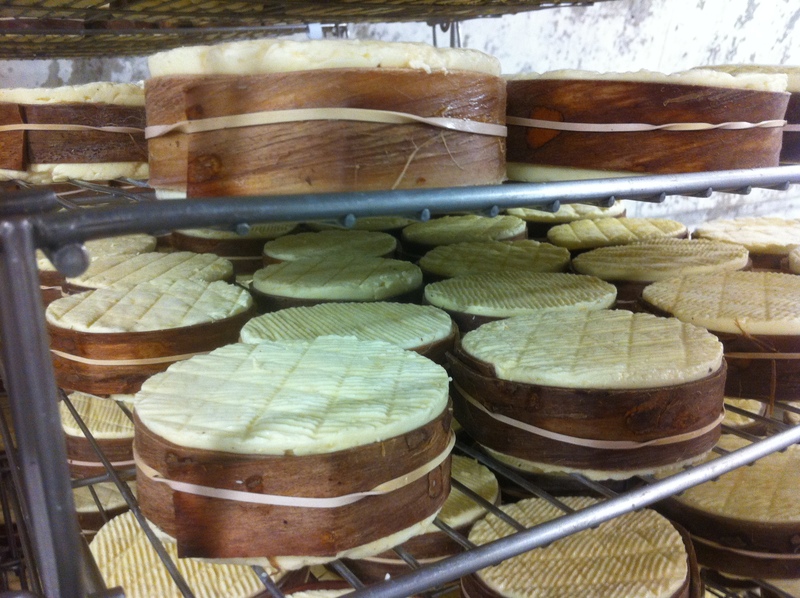 The bark wrapping affects the flavor of the cheese in an interesting way; the flavors that shine through in a wheel of Harbison don’t simply remind one of the plants and scents of the woods, but rather are evocative of the forest as a whole. Herbal flavor notes (mustard, fennel, and tarragon, to name a few) dominate the start, while the finish highlights the buttery and rich milk produced by the Ayrshire cows. These flavors yearn to be paired with a crisp sparkling white, or a bright, hoppy IPA to match the powerful herbal notes. Cured meats and dry salamis are enlivened by the creamy spoonable wonder and bring a new depth of flavor to a ripe Harbison. So, this Earth Day, show your love for Mother Nature by enjoying cheese the way nature intended. Grab a wheel of Harbison, peel off the delicate top rind and let your cheese plate proclaim your love for the Earth. As a new Murray’s Cheese employee, I would love to try the Harbison “next” as I live in the mountains, ski the mountains, and love the scent of bark and tarragon! You have a truly great website and my learning curve is coming right around with your help! From the Colorado mountains to Jasper Hills Farms, have a great day! Next PostNext Meet A Monger Monday: Cate!